Alex Ross Perry’s Golden Exits, a New York Times Critic’s Pick, stars Emily Browning, Adam Horovitz, Chloe Sevigny, Mary-Louise Parker, Lily Rabe and Jason Schwartzman. The film is an intersectional narrative of two families in Brooklyn and the unraveling of unspoken unhappiness that occurs when a young foreign girl spending time abroad upsets the balance on both sides. 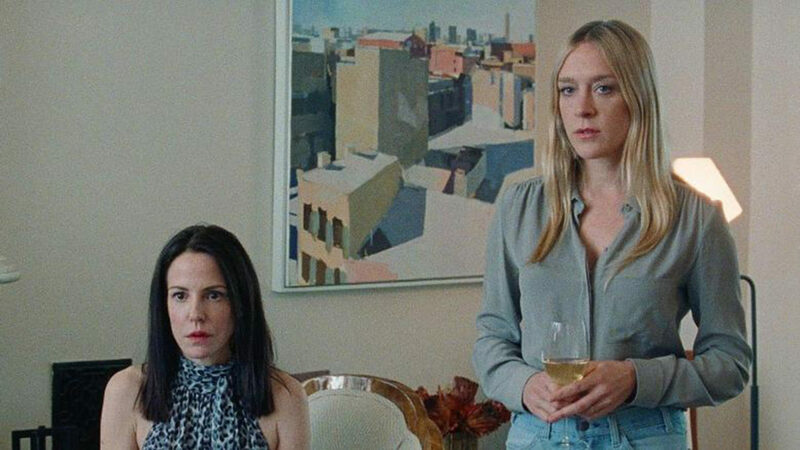 Vanity Fair called the film a “micro-masterpiece,” and The Film Stage said it was Perry’s “most humane and emotionally complex film.” The Hollywood Reporter hailed it as “close to superb,” and Film School Rejects praised Perry’s writing as “clever and vicious,” grading the film overall as “exceptional.” Golden Exits premiered at 2017’s Sundance Film Festival and Berlin International Film Festivals.